Dr. Julio Echegoyen is a Cataract, Corneal and Anterior Segment Physician and Surgeon. Dr. Echegoyen specializes in anterior segment surgery, cataract surgery with intraocular lens implants, refractive cataract surgery, intraocular lens exchange, complex cataract surgery, glaucoma management, micro-invasive glaucoma surgery, corneal diseases and treatment, pterygium procedures, and an array of general ophthalmology procedures. Dr. Echegoyen attended Medical School at the University of California, Irvine. He completed his internship at the University of California Irvine Medical Center and residency in ophthalmology at the Gavin Herbert Eye Institute, UC Irvine. Dr. Echegoyen was a Fellow in corneal, external disease and refractive surgery at UC San Diego. He further received his Ph.D. in Biological Sciences in 2008 from the University of California, Irvine. Dr. Echegoyen is a member of the American Academy of Ophthalmology and the American Society of Cataract and Refractive Surgeons. He is a member of the Latino Medical Student Association and has been involved with several research projects, journal articles and book chapters. 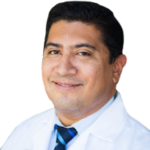 The doctors and staff are excited to welcome Dr. Julio Echegoyen to our practice.